Propane, when handled properly, is a safe fuel for household use. However, as with any kind of fuel, it is flammable, which is how it heats your home and cooks your food, among other uses. Propane is clean burning and environmentally safe. And it exists in vapor form, meaning it cannot be ingested. As safe as propane is, you can make sure that you and your family are using propane safely by following these 5 propane safety tips from the NFPA (National Fire Protection Association). Store propane tanks outside of the home. This includes cylinder propane tanks for stoves and ovens and any tank over one pound. Never use a propane grill inside the home. Handle propane fueled equipment properly. Use caution when handling propane and propane fueled equipment. Always follow manufacturer instructions for use. Have all propane equipment inspected regularly. 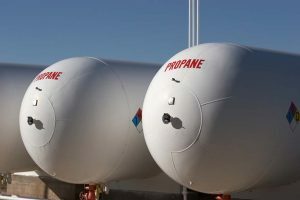 If your propane tank is leased from your supplier and you receive regular deliveries, your supplier is most likely performing inspections with each refill. If you have any doubts about this, contact your Burlington propane supplier and ask. Alamance Oils performs regular inspections on every leased tank. If you smell gas in the home, leave immediately. The smell of gas in your home may indicate a leak, which is an extremely unsafe situation for you and your family. Leave the home and call your local fire department. Follow manufacturer’s instructions for lighting a pilot. If you need to light the pilot for your propane furnace, follow the exact instructions provided by the manufacturer. Failure to do so could end in serious injury. You can count on Alamance Oil to be your safe Burlington propane supplier. Alamance Oil uses cautious delivery practices and inspects your tank and equipment regularly to ensure proper operation. The safety of your family and home is of utmost importance. To request a safety inspection of your propane tank and equipment, contact Alamance Oil at (336)226-9371.